We’re in 2016 and brands are aware that they need to be on social media. That’s a good thing. The bad thing is there are so many companies winging it and it’s hurting, not helping, the brand for the most part. Partially, due to a lack of education and awareness, partially due to ignorance to the importance of some of the points mentioned below. In the grand scheme of running a business, improving your social media presence is a rather easy area of improvement and so many businesses could be benefiting so much more from social media. Picture quality counts! Take high quality pictures. Look professional. It matters! Stop using blurry or stock stretched photos. The look and feel you give off is a direct reflection of the product/service you offer. Is that shotty, too? It’s important to take good pictures. Invest in a camera, or hire a photographer to take a nice selection of images so you have a repository to pull from. Don’t talk from the first person. While it’s important to humanize the brand, the brand isn’t you. It’s a company, it’s a team, it's an organization, it's a mantra, it’s a vision. A brand should be bigger than you (unless referring to a personal brand). Simply put, when posting from a brand, it’s highly recommend to use WE not I.
Don’t post just to post. Never force content. Useless content with no engagement hurts you. You’re better off not posting anything. A lot of (retarded) “SEO companies” will post article after article with hashtag after hashtag. No one’s clicking. What good is it? Don’t feel the need to force content that has zero value. Watch engagement. Are people responding? Sharing? Engaging? Liking? While it’s not all just about likes, the engagement is a good gauge for if your’e providing valuable content. Way too many companies/brands are posting just to post. Content is king now days. Focus on a good mix of value, not repetition. It’s easy for service companies to fall into a habit of posting job photos/portfolio pieces, and while that’s good, you need to make sure you’re focusing on all 6 value types of content, which are: Information, exclusive, education, inspiration, reciprocation, and entertainment. Focusing on all 6 will force you to strategize, and strategizing content should produce winning results, rather than posting on a whim. Your social media presence is a direct reflection of you, just as is your storefront, offices, etc. Make sure if it’s the only impression someone gets of you, it’s a professional one! 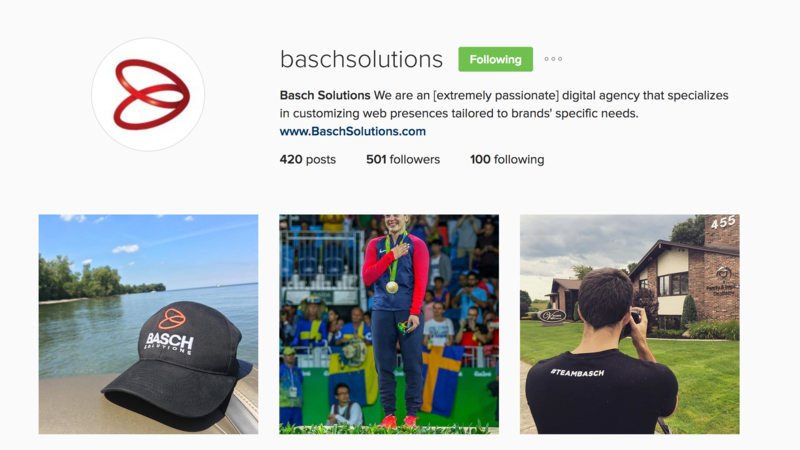 Feel free to connect with us on social media @BaschSolutions. Looking to consult on social media strategy further? We’d love to hear from you and see if we could help you.